Probably Thailand’s most famous noodle dish. There are so many recipes for Pad Thai as the dish varies so much as you travel around the country, every region and village has its own version. 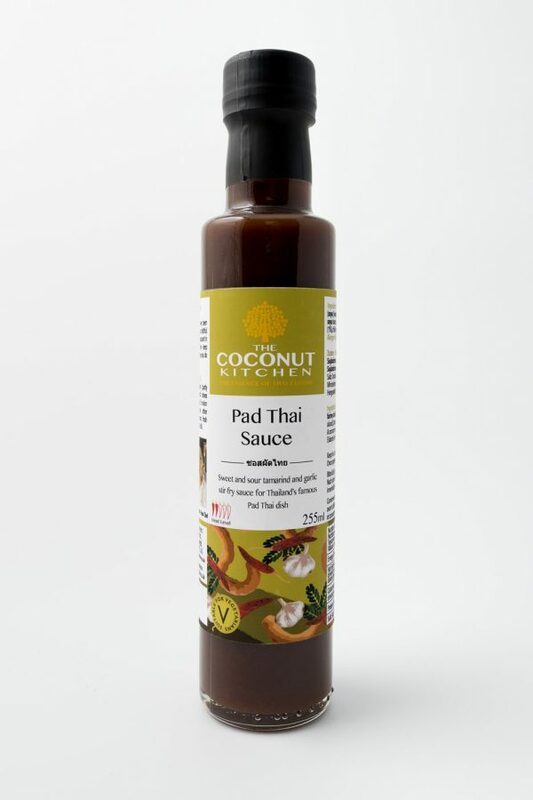 This sauce is The Coconut Kitchen’s take and has been tried and tested in the restaurant for 10 years, so it has to be good. 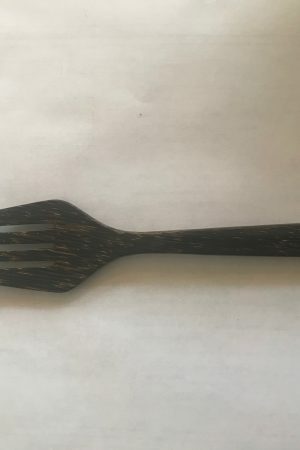 Its also one of the few Vegan and Vegetatian recipe sauces available with miso paste being they key salty ingredient instead of fish sauce. 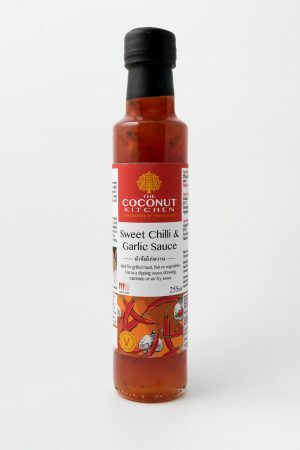 The tamarind based sauce makes for a very pleasing sweet and sour taste with just a background hint of chilli. 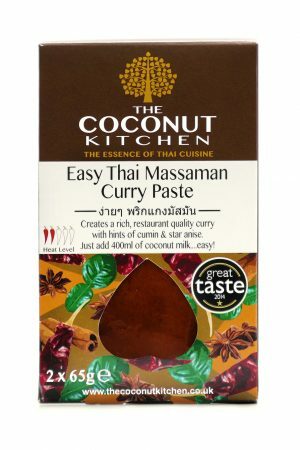 As in Thailand, its best to season the dish to your liking by adding dried chilli powder to spice up the dish. 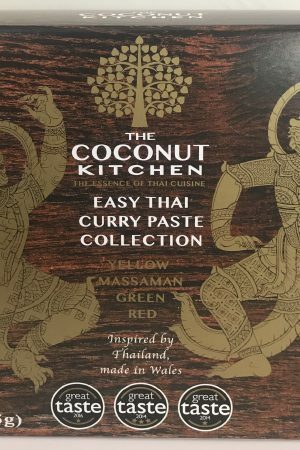 Delicious Thai food that doesn’t need a Thai Cookbook to give you a true Thai Taste. Rice stick noodles (partly cooked in hot water) vegetable oil (or coconut oil) 2 garlic cloves, crushed, 1 chicken breast or 16 king prawns, ½ onion, sliced, 50g beansprouts, any other vegetables of choice (carrots, mushrooms, sugar snap peas, broccoli or peppers are good), spring onion, coriander, lime wedges and crushed peanuts to garnish. Fry the garlic and onion in the oil and add the chicken or prawns and vegetables, or tofu. Cook for 2 minutes, add the partly cooked rice noodles. Then add 1 bottle of CK Pad Thai Sauce, stir fry the noodles in the sauce until fully cooked. Add the beansprouts, serve and garnish with the spring onion, coriander, peanuts and lime.